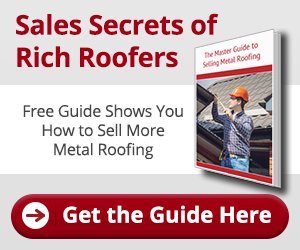 Home » Metal Master Blog » Finally… Learn What the Slope of a Roof Is! Last week, we talked about the questions people often ask their roofing contractors. In general, it’s very helpful to understand the jargon that contractors use so you can better communicate with them. That’s why we’re featuring a series on roofing terminology. We’ll start with the term slope (also known as pitch). For homeowners who aren’t too familiar with roofs, think of the slope as the steepness of the roof. If you remember way back to high school algebra, you learned that the slope is calculated as the rise over the run. That’s how it works with roofs too! A low slope is closer to flat (horizontal), while a high slope is very steep. In roofing, the slope is the answer to this question: How many inches does the roof rise for every number of inches it runs horizontally? You’ll hear this expressed in terms of 4/12 pitch or 1/4 pitch. Determining the slope is an important part of any roofing job. The slope of your roof is higher in areas like Miami because there’s often lot of rain to redirect off of your home. And that’s what the slope is. Now, when you hear roofers talking about slope or pitch, you’ll understand what they’re talking about! Check back next month to see us define another roofing term.